After a member of the military completes their initial term, they have the option to apply for reenlistment. Like all military milestones, re-enlisting in the armed services is an important stepping stone in one’s career. 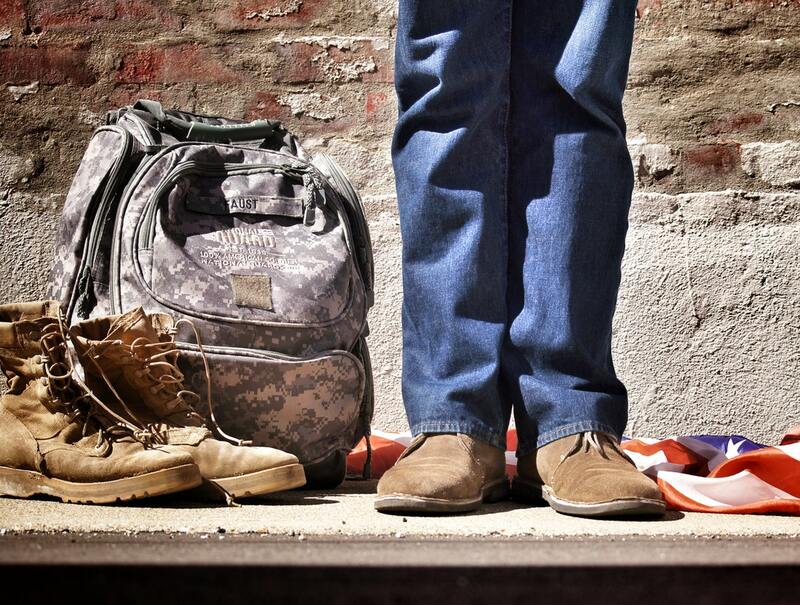 For most people, the decision to reenlist is not one that’s taken lightly. The reenlistment ceremony, however, has at times told a different story. Some soldiers are determined to make their reenlistment a laughing matter, or so it seems. Read on for 10 crazy reenlistment comedies that were anything but average! What’s It Mean to “Reenlist” In the Military? Not everyone who serves in the military is given the option to reenlist. There are certain requirements and conditions that must be met in order for a soldier to rejoin the armed forces. First, the branch of service for which you are applying for reenlistment must have an opening available for your particular MOS (military occupational specialty) or rating. If your unit is full, then you may not be accepted as a reenlisted service member. Additionally, the military considers the type of discharge that you received when you left the military originally. You can receive an honorable, dishonorable, or other than honorable discharge. You can also be discharged for bad conduct, as well. Upon discharge, members of the military are assigned a Military Reenlistment Eligibility Code. This code is listed on each member’s discharge documents. These codes show whether a member is eligible or ineligible for re-enlisting. Your reenlistment code might also show that you require a waiver to rejoin the military. Once you have proven your eligibility, you can apply for reenlistment. If you are given the opportunity to reenlist, there is typically a ceremony held in honor of your decision and future commitment to the armed forces. For many men and women who reenlist for an additional term of service, the ceremony that follows is a special, but reverent, affair. It’s an event to publicly acknowledge their extended loyalty and service to their country. Often, friends and family gather around to witness this major step in a soldier’s career. Traditionally, these ceremonies are somber and respectful. Afterward, the reenlisted may join those in attendance for a celebration in honor of their willingness to continue to serve. Many times, members will incorporate one or more of the military’s longstanding traditions, such as the exchanging of challenge coins, during the reenlistment ceremony and/or the celebration that follows. This useful article shares insights about the military’s cherished challenge coin tradition. While most servicemen and women approach reenlistment seriously, this isn’t always the case. These are 10 times that soldiers dared to do things a little different with their reenlistment ceremonies. On the anniversary of 9/11, the Washington Redskins hosted a special re-enlistment ceremony at FedEx Field. In between coughing, choking, and tears, a corporal reenlisted in the Army while taking a break from training in the gas chamber. The unusual story made headlines, but some might think this ceremony was more torturous than humorous. Senior Chief Yeoman Holly Allen got to live out the dream of millions when she was reenlisted by rocker Jon Bon Jovi at the World Trade Center in New York. Supposedly, she first reached out to the famous rockstar to thank him for his music. Later, she asked if he would do the honor of reenlisting her in the service. To her pleasant surprise, as well as the surprise of many others, Bon Jovi agreed, giving her a truly memorable ceremony she would never forget. Gamers received a special gift when one troop decided to drop by a video game store in Texas. It was all fun and games when an army re-enlistee held his ceremony at the local Game Stop. The wacky reenlistment photos were posted on social media and received over 1,000 shares. In Colorado, an amusement park ride proved even more amusing than usual when soldiers took the opportunity to reenlist in the Army. As they catapulted towards the ground, the soldiers took the oath to serve a second term, according to the Washington Post. The Georgia Aquarium proudly supports military members by facilitating underwater reenlistment ceremonies to those who are willing to take the plunge. Of course, if you prefer to keep your head above water, the Georgia Aquarium offers to host ceremonies on dry land as well. Look up, and you just might catch a glimpse of soldiers flying through the air after taking the leap to reenlist. At least that was the case for one reenlistment that took place on the ramp as soldiers prepared to jump from their plane. If you want a reenlistment ceremony that’s memorable, this is one way to do it. Reenlisting as a plane goes up in flames makes for a ceremony that’s hotter than hot. A married couple said “I do” to another tour of duty in an unusual ceremony that was administered by another husband-and-wife military couple. The Army commander who took part in the ceremony remarked that despite participating in a number of ceremonies during his career, this one was truly unique. As it turns out, it’s possible to take things a little too far in an attempt to interject humor into your reenlistment ceremony. That’s the hard lesson that some U.S. Air Force National Guard members learned when they decided to reenlist with the help of a dinosaur puppet. The puppet was worn on the hand of a servicewoman as she recited her oath. Video footage of the event quickly went viral. But, the participants’ superiors were less than amused by the silly stunt. As a result of their dino puppet shenanigan, the airmen involved were fired from their positions and demoted due to their lack of professionalism and respect during the time-honored military tradition. It’s one thing to have a little fun with your reenlistment ceremony, but members of the military must proceed with caution. The last thing you want to do is to lose your position for the sake of a few laughs. It’s a good idea to exercise discernment when planning your reenlistment ceremony. While humor can be entertaining, the military takes its traditions seriously. Here’s a post to help you check your motives before you make a decision that could potentially wreck your career!